Billy Batson (Asher Angel) is a 14 year old runaway, streetwise, foster kid. And after an encounter with an ancient wizard, Billy, is given the ability to turn himself into the adult Super Hero known as, Shazam (Zachary Levi). 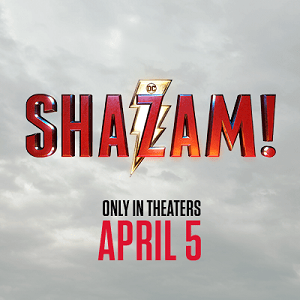 With his new powers, Shazam, who is still a kid at heart, decides it’s better to have fun with his superpowers. That is until the evil, Dr. Thaddeus Sivana (Mark Strong) learns that Billy has been chosen as the wizards champion. An opportunity that was once presented to him and then denied. Billy/Shazam must master his powers if he’s to defeat the 7 Deadly Sins controlled by Dr. Sivana. My excitement level was truly on HIGH when I heard this movie was going to be made. Shazam, was my first ever favorite superhero. I followed the developments of this one closely. From the casting to the wrapping of filming. Every step of the way I was pleased with what was happening… and then I saw the film. I’m giving director David F. Sandberg a standing ovation for the film he’s given us. Taking the much-needed risk and going in a different direction than the other films in the DCEU was a great call. As well as keeping this story very simple. You won’t need to know anything about these characters beforehand, it guides you through it with ease. We got a nice balance of both Billy and Shazam’s journey’s. Meaning, Billy was on his own as a foster kid searching for the mother who abandoned him as a young child. Shazam, would he wind up being a superpowered panhandler or would he use his powers to help others? Director Sandberg did a great job letting us see both of those stories without shortchanging us on either one. And the best part of it all, even though some may think different, it was really funny. I found myself laughing out loud more than a few times. That was a welcome change to the darker DC films we’ve been given in the past. As a long time fan of Shazam and DC superhero characters, I think others will be just as happy with this one, just like me. And hopefully, the surprise at the end of the film is a sign that some DC heroes aren’t done just yet. Next PostNext The Power Refund!